Although canister filters may appear small, these compact units are designed to provide complete 3-stage mechanical (in some cases, more), chemical, and biological filtration in aquariums. For maximum efficiency, choose one with media chamber holding capacities that exceed your aquarium's bioload filtering requirements. 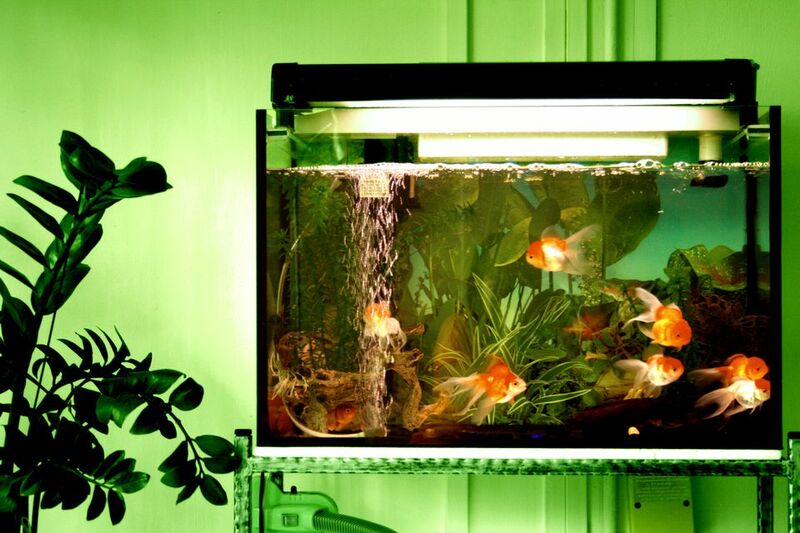 Here are top choices that can be hung on the rim, placed along-side or behind an aquarium as well as under the tank and cabinet out of sight. Available in three models, the Rena FilStar XP Series Canister Filters by Aquarium Pharmaceuticals are multi-stage, bypass-free systems that are highly efficient and versatile. With features such as a unique one-step water shut off and disconnect control lever, multi-use filtration baskets with easy lift out handles, and many others, they are said to be easy to install, use and maintain. For years many aquarists have felt that you can't go wrong with an Eheim. Even though more expensive than some other canister filters, with the many different styles, models and sizes of canisters to pick from, it shouldn't be hard for any aquarist's to find an individual or combination mechanical, chemical and biological filter to meet their aquarium filtration needs from this line of filters. Replacement parts are available. The Fluval G Series is the next generation of canister filters. The G Series features electronic LCD monitoring of filter function and water quality parameters (water temperature and electrical conductivity). The electronic self-diagnostic system continuously monitors water flow through the unit and features an alarm system that alerts user when parameters deviate from an acceptable range. The programmable schedule reminder feature helps you keep on top of filter maintenance. Mechanical and chemical filter cartridges are independently accessible via the top-load cartridge design. The large-capacity biological media baskets (2 in G3, 3 in G6) house Fluval G Bio-nodes, a high-porosity ceramic bio-media. Despite problems with the old Fluval 03 Series models, such as breaking latches, being hard to clean, difficult to put back together and get started, when the new and improved 04 Series came along, these faults where fixed. At that time it was suggested that Hagen had out done themselves with this line, but now with their newer 05 Series units, these canisters are better than ever. One of the best features of these canisters is how easy they are to open, remove and clean the prefilter sponges, without disturbing the media trays, and then close and restart them. Available in various GPH output sizes, we consider any of the 04 and 05 units to be top quality canister filters. Replacement parts are available. by JBJ are the latest innovation in high capacity filtration systems. This canister filter incorporates high media storing capacity with easy to remove basket trays, self priming lever, quick disconnect shut off valve for convenient media replacement, and an integrated UV sterilizer with On/Off switch. The Marineland Magnum H.O.T. (Hang-On-Tank) model is 250 GPH flow rate certified. This canister combines the power and versatility of the same micron/carbon features of a full sized Magnum, but in a compact unit that hangs right on the rim of the aquarium. This is an ideal water polishing filter to use for maintenance procedures. It can quickly be attached to any aquarium and run when extra mechanical filtration is needed to help clean up the water at any time. The Magnum 220 and 350 Canister Filters by Marineland are the only units of their kind with a patented self-priming bottom-mounted motor design. The micron-pleat cartridge and carbon/media container can be used alone or together, and combined with the attachable Power Kleen Gravel Washer, the tank cleaning capabilities of these units are unsurpassed by other canister filters. They are quite a workhorse, and an excellent choice for easily adding extra mechanical filtration to any aquarium when needed to help polish or clean up the water quick and efficiently. High-performance, no bypass design means excellent filtration. Efficient, multistage filters force water through the Stack n' Flo filter media trays to provide exceptional mechanical, chemical, and biological filtration. The result is crystal clear aquarium water and a healthy aquatic environment. Sleek, contemporary filter boasts convenient maintenance features including valve block for quick release, quick prime button, and tote handle. Media included for immediate start up. Sizes for aquariums up to 150 gallons. The Ocean Clear canister is a terrific, multi-use filter. It includes a reusable 25-micron cartridge with 40 sq. ft. of surface area, a built-in pressure gauge and drain valve. Options include an 18-watt UV sterilizer. It measures: 11" dia. x 11" H, making it easy to use in a cabinet.